The popularity of fairies and fairy houses has soared, as has the growing movement to get children interested in outdoor activities such as gardening. This new how-to book for parents and kids combines the best of both worlds. It includes basic information for beginning gardeners, such as soil preparation, planting, and watering, then branches into appropriate categories for every fairy gardener: making miniature gardens and terrariums that are just the right size for fairy friends butterfly and hummingbird gardens to attract these flying friends of fairies rock gardens water gardens wind chimes and prisms to add music and light to your gardens Sprinkled throughout are bits of fairy lore and garden wisdom. 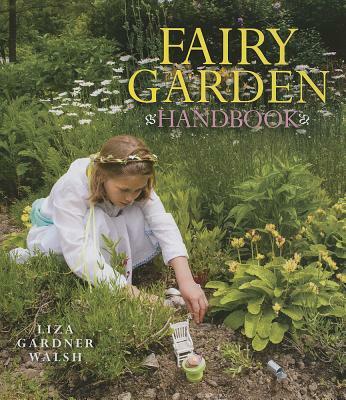 Written for children, or anyone with a child's heart, and filled with color photographs, the Fairy Garden Handbook will turn curious kids into green thumbs in no time. Liza Gardner Walsh is a children's librarian in Rockport, Maine. She has worked as high school English teacher, a writing tutor, a museum educator, and holds an MFA in writing from Vermont College. Through all these adventures, she has made tiny houses for fairies, trolls, mice, snails, and other small creatures. She lives in Camden, Maine with her two daughters, Phoebe and Daphne, and her husband Jeff.